Biblical counseling is big on the heart. Counselors speak and write often on “matters of the heart,” of identifying heart issues in troubled people. Counselors are trained in the skills of probing for heart issues, and seeking to identify potential “idols of the heart.” There’s much to be commended in this approach, but we must also provide individuals practical tools for fighting specific sin temptations. There can be tendency to identify heart issues, confront a person’s heart desires, and then believe simply that change will now happen. After all, sin arises from the heart so once the heart has been exposed it seems only logical that now it will reorient itself. The problem, however, is that in such an approach counseling has failed to also address the matter of actual sins, and actual sins, even when heart motives are identified and challenged, have a strong hold on us. Actual sins, carried out over time and performed regularly become habituated into the pattern of our lives. Sometimes they are subtle, we are so prone to those habits we don’t even notice when we are performing them or moving towards them. An example may help to illustrate this point. If I have a problem with anger I may learn, from counseling, that it is my selfish desires that are the core of my issue (James 4:1). I may strive to work on my selfishness, and control my outbursts, but if I have a pattern of complaining about others, or grumbling under my breath, I am not likely to make much progress in my fight against anger. Why? Because I have a habit that needs to be addressed in conjunction with the heart motives that lie underneath them. Likewise, if I am prone towards greed and discontentment, I can and should seek to work on my heart and seek to find greater joy and contentment in Christ. If, however, I continue to spend every evening shopping online I am not likely to make much progress, I am going to continue to struggle with discontentment and longing for some thing that will make me happy. My habits compound my problems, and addressing only heart issues and not actual sins will leave me stuck. The Bible confirms this teaching of the powerful hold of habituated sin. Jesus, in particular, speaks of sin as enslaving. 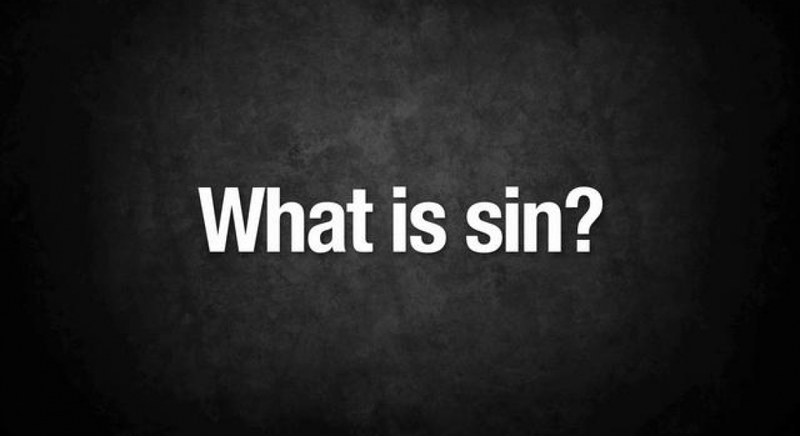 He says that “everyone who practices sin is a slave to sin” (John 8:34). Paul, writing to Christians, says similar things when he warns us not to “let sin reign in your mortal body” (Rom. 6:12). The Apostle recognizes that we can let sin become our master, making us “obey its passions.” While we are free from the rule of sin (v. 14), we can submit our members to unrighteousness (v. 13) and become enslaved again to sin (v. 16). In counseling we must be willing to acknowledge these two categories of sin. If we work hard to help people address the sin in their hearts but do not also equip them to identify the actual sins, the habituated patterns, and the common triggers will leave them with the desire to change but not the ability. We must concede, of course, that the Holy Spirit is the true agent of change and He can work all things. But God calls us to action and to fight temptation, and without the necessary tools we will become frustrated, discouraged, and despondent. James K.A. Smith has been particularly helpful in noting the shaping influence of habit. His book Imagining the Kingdom helps us to identify the power of habit and the ways in which we often subconsciously participate in practices that are shaping our spiritual lives. While much of Christian education has focused on worldview instruction Smith argues that the Bible’s teaching reveals that man is actually more shaped by what he loves. “We are what we love,” he writes, “and our love is shaped, primed, and aimed by liturgical practices that take hold of our gut and aim our heart to certain ends” (40). He explores the cultural liturgies that surround us, looking particularly at the mall, the military entertainment complex, and the university. In each case he talks about how uncritical engagement with each shapes and influences us. He notes particularly the “unconscious self” that we interact with on a daily basis, and the habit formation that happens in all of us apart from intentional cognitive analysis. This is why he is so quick to warn us about our participation in various cultural liturgies, and the deficiency of only focusing on worldview instruction. If this is true at the level of every day life, we need to consider carefully its application at the level of sinful habits. The doctrine of actual sins reminds us to move beyond the heart and help people strategize to fight real-life temptations, triggers, and habits in their progress towards sanctification. Both categories of sin are important for Biblical counseling. If sin arises from the heart then to merely address habits will leave individuals with sinful desires and motives that are merely better managed and controlled in their manifestations. We must address the heart. If, however, we only identify heart motives, help people reorient their desires at that level, without also giving them tools to fight actual sin patterns, we will leave them frustrated and discouraged. A holistic picture of sin reminds us that we must provide a holistic care plan for those we counsel. * Biblical Counseling does not only address sin, nor is every problem that arises in a person’s life the result of sin (John 9:3). I have written elsewhere about the need to address both sin and suffering in Biblical counseling. This article will focus specifically and narrowly on counseling sin habits.